The famous rock and roll band from Delhi, ‘Parikrama’ who had been evading from giving music in Bollywood has eventually scored music for Sandeep A Varma’s hard hitting movie MANJUNATH. The movie is inspired from life of the honest officer Shanmugham Manjunath who was killed in Lakhimpur Kheri in Bihar in 2005 and compels viewers to ponder on the height of corruption prevlant in India. 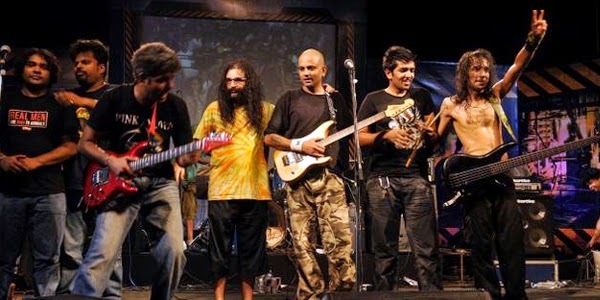 Parikrama band is in existence since 1991 and is hugely popular but the band has always kept distance from Bollywood as it believes in music that is soul stirring and pleasing and away from the ‘Munni’ and ‘Sheila’ culture of Bollywood. MANJUNATH has been released on May 9, 2014 and is winning critical acclaim both for its strong message and superlative music.